The rumour for the launch of Yamaha Gladiator 165cc has been doing its rounds since long. Every bike lover is looking up to Yamaha when this dream bike would be launched. However Yamaha is not releasing much detail about the bike, but we do expect the launch at least at the early 2010 with the good design and performance so that it can compete with the already existing rivals and the upcoming ones. May be because of this reason, Yamaha is taking much time to make this much awaited bike to be slalomed at top spot in its class. When the bike was shown in 2006 Auto expo, many took pleasure that they would be riding on their dream bike very soon. But still they gotta hold their patience to see this bike launch in this coming year at the latest. The bike is expected to continue the success story of Yamaha powered by the good performing engine. The bike is expected to develop around 16.5 PS and can complete a sprint of 0-6 in less than 5 seconds. There could be some variation in the engine if and when launched in order to give a tough challenge to the potential rivals. More likely than not, Yamaha would be compelled to make Gladiator 165cc a new age bike with the enticing features and design which should keep the young bikers riveted and infatuated. In order to survive in the face of changing trend and existing competition, Yamaha is expected to accentuate on the futuristic looks and design of the bike. 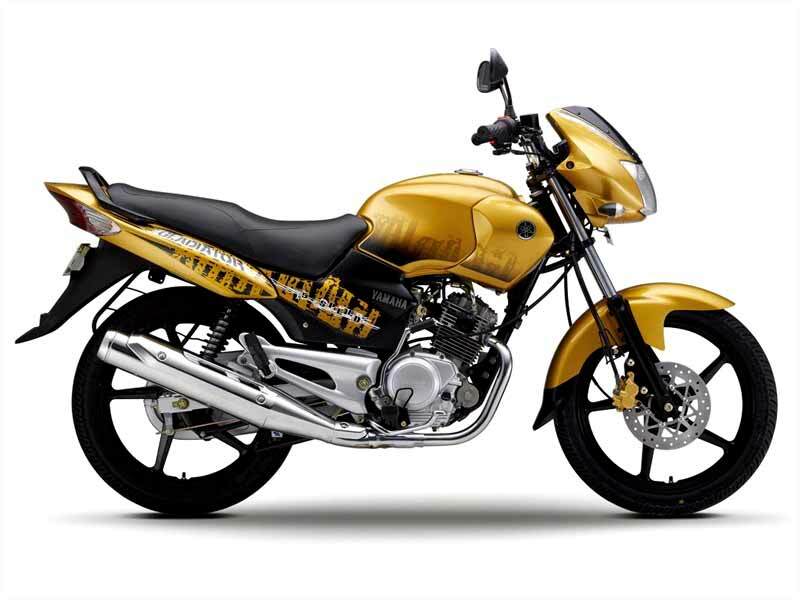 As shown in the Auto Expo, 2006, the bike stands out in sharp contrast among its peers. The bike comes in the rich exciting colors. It has a super cool engine guard. The handle is well carved out and the rear foot pegs are ergonomically designed. But the bike is not equipped with the monoshock as seen in the pic and it is most likely to base on gas/liquid filled shocks. Gladiator 165 should get an international appeal in case it is equipped with the contemporary monoshock feature. Yamaha Gladiator is provided with Telescopic Hydraulic suspension in the front and rectangular swing arm suspension at the back. The bike is sure to offer a very comfortable ride quality and safety to the rider. The front disc brake is of high end craftsmanship which can bring the bike at a sudden halt without any biting feedback. 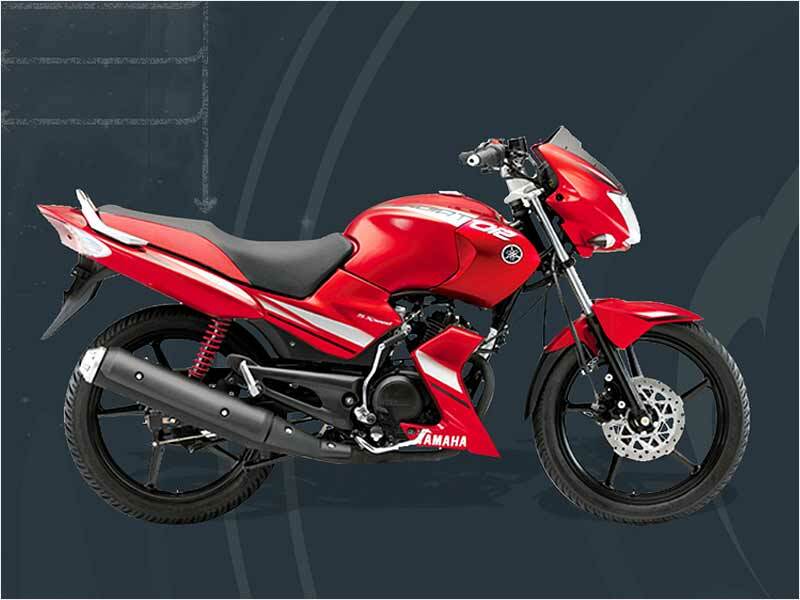 It has a very comfortable riding position along with the aerodynamic design, which again enhances the look of the bike. 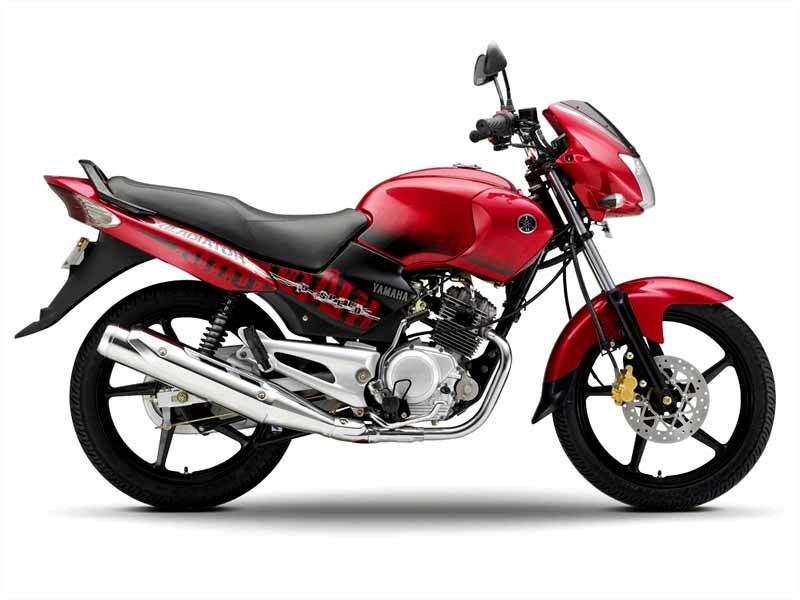 It is an ideal bike to snake through the busy city routes with the free comfy-sporty ride. It owns a host of functional features such as low fuel indicator, low oil indicator, low battery indicator, high oil temperature indicator and choked air filter indicator. In the event of launch, it is believed that the Yamaha Gladiator 165 would be a great hit in the market offering high level of performance and ride quality. Sporty and stylish, Yamaha Gladiator 165 renders the average mileage of 65-67 km/l. The tentative expected price of the bike is around 65,000 and it would be available in the colors of Blue and Silver.